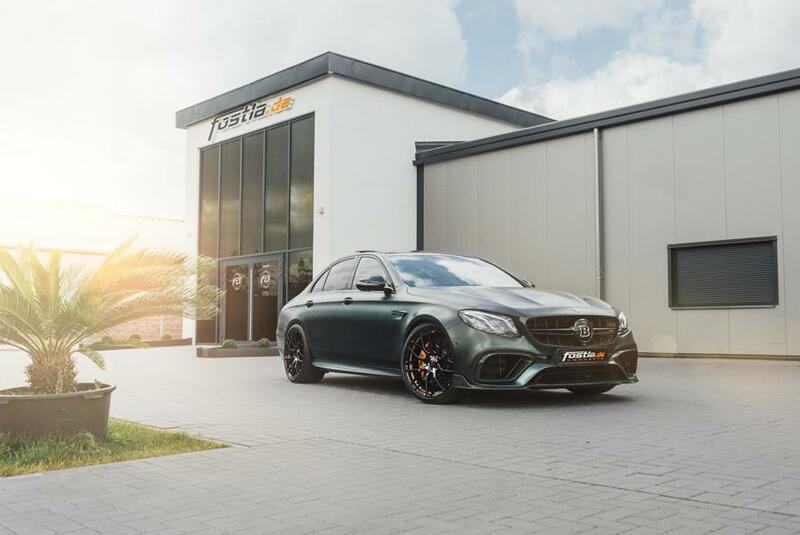 German tuner Brabus has released a custom version of the Mercedes E63s AMG 4MATIC+ in spring earlier this year. The car received a full aerodynamic kit, large new wheels and an engine upgrade to 800 hp (596 kW). The one possible downside of that tuning was the black paintjob Brabus traditionally applies to most of its cars. What do you do when you don’t want your car to look like it’s in mourning? Turn to Fostla.de for a film wrapping, of course! The company has been specializing in these for many years. The Mercedes E63s AMG 4MATIC+ by Brabus pictured here sports a Chrysolite Green Fostla film covering its entire body. The body kit parts are still black and thus manage to create a pleasant contrast. We actually like the way this one came out. Do you?